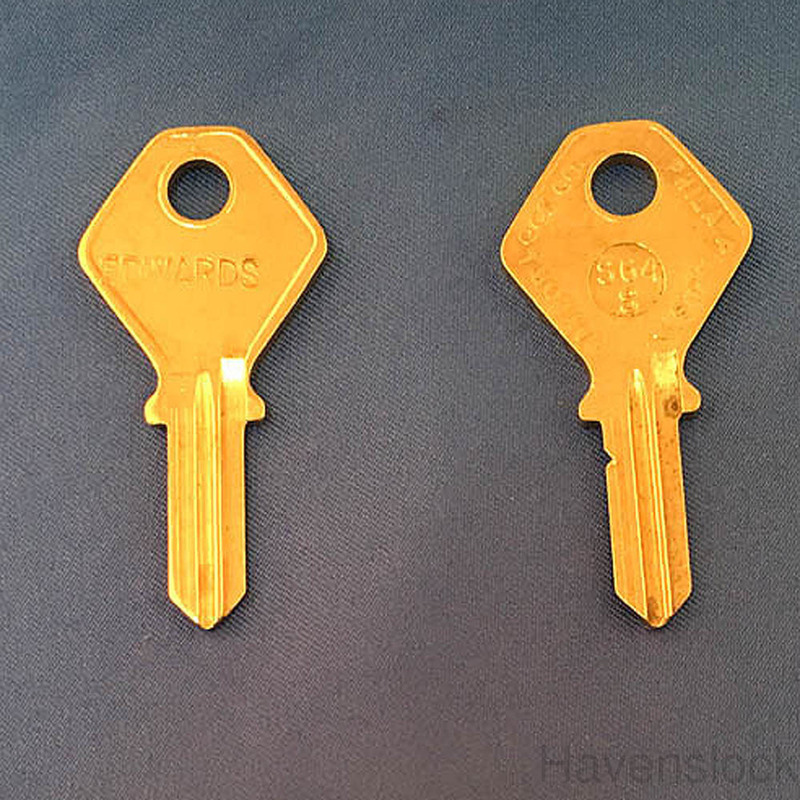 Foreign Auto Key S64S (Ilco H61SR) for Sunbeam, Simca, Hillman, Humber, Singer. Keys are either brass, nickel silver, or nickel plated, unless noted as steel or aluminum. Keys are from one of these manufacturers: Ilco, Taylor, Dominion, Silica, Cole, Curtis, etc..
Keys may also have been stamped with a locksmith shop's name. Keyway of the key will be correct regardless of the brand or bow of key design. Number of the key may be different from what is shown on the key. These are keys blank and are uncut. ** Please contact us if you are interested in any similar products, have questions about a product, or would like a larger quantity than what is advertised for sale. We have additional inventory in-stock that we may list.